A decent £20 champagne is an important reference point in my recommendations arsenal. Like a good pair of jeans, or a decent white t-shirt, I feel I always need to know where to lay my hands on one. At certain times of the year (Easter, Christmas) discounts and deals make this a relatively straightforward business. For a long time – OK, year after year after year – I sent friends, family and readers out to buy Bredon champagne, an own-label made for Waitrose, initially discounted by a third, then with its price pushed up so it could be dropped even further back down again, it always came in under £20. Back then, Bredon was made by the champagne geniuses (genii?) at Charles Heidsieck. It was stupidly good for the money. “We always knew that couldn’t go on,” admitted their old fizz buyer, Dee, when I saw her recently at a tasting. “But it was good to ride the wave.” She also pointed out that the wine was called “Cuvée Jean Louis” (John Lewis, geddit?) It still is, but for some time now it has no longer been made at Heidsieck and was looking utterly dismal last time I tried it. Definitely off the list. There are other good own-labels, notably at the Co-op, as well as M&S and Sainsbury’s. But these constantly fluctuate in price, and sometimes you don’t want fizz with a supermarket name on the collar. So what to buy? For some years my out-of-promotions-season standby was a fizz called Marc Chauvet. 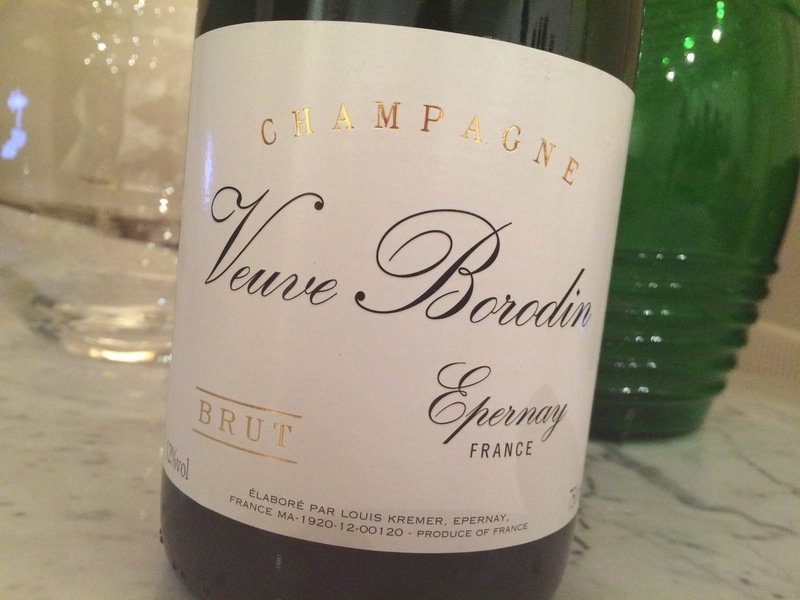 But I drank a glass of this champagne a couple of weekends ago at The Clove Club and – whoosh – my allegiance has switched. So here it is, ladies and gentlemen, my new go-to £20 champagne. It’s the ‘house’ fizz of Roberson wine merchant, made for them by Boizel’s head winemaker and named after Cliff’s late wife. I like its casual, country style and the spicy bones of the pinot. There’s a lot of pinot in there. 40% pinot meunier, 40% pinot noir and 20% chardonnay. Lovely stuff. Oh, and the reason I saw old-new is because it’s new to me but Roberson have been selling it for years. Last week I asked what YOU wanted to read about. What a response! And not just here but also on my email. Thank you. I think I will be kept busy for quite some time getting through the list. Some of the requests (to read about wines from Tasmania, Portugal, Alsace, Germany, I could go on) demand that I get on a plane, so may take a while to come to fruition (although I am wondering if I can juuust squeeze a little trip to Australia into the diary in May…). Thank you for all of them. A couple of you asked about decanting, and that will be in Saturday’s paper. Someone else asked about pink fizz, a column I am currently halfway through. The other ideas are being processed. With a large glass or two of wine.